This series of 7 large and 12 small drawings as well as 2 installations includes various elements from Van Veluw’s boyhood bedroom. Whereas the previous series incorporated themes of control, order and structure, in these works we witness the disintegration of these elements. Order turns into chaos. Visions of collapsing desks, falling cupboards and exploding cabinets mark the moment of disruption. Human structures are affected by forces of nature such as gravity, water and wind and in this way realigned into a new, natural order of things. Press release book: We are also excited to announce the first official publication by Levi van Veluw. 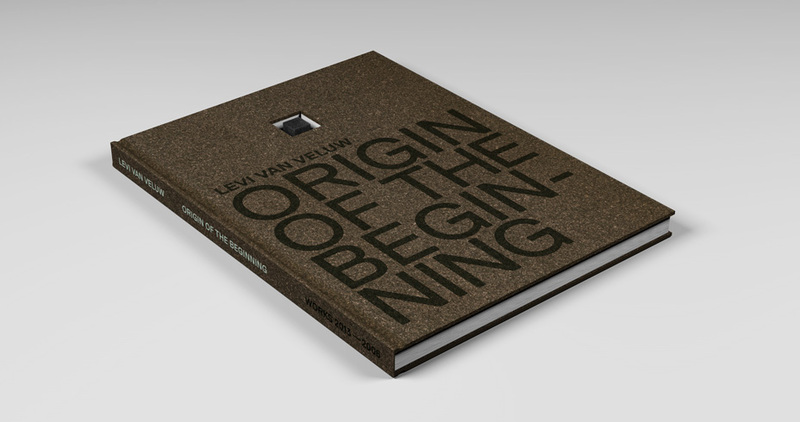 The book Origin of the Beginning offers a survey of all the photographs, drawings, installations, sculptures and videos produced by Levi van Veluw from 2006 to 2013. This extraordinary book is an artwork in itself. Besides beautiful artwork reproductions, the publication contains a special handmade wooden block, which has been placed inside a cut-out square hole that perforates the book. Visible from the front cover through the whole publication, this wooden element refers to a number of Van Veluw’s art works and can be considered an essential foundation on which his work is built. The series of works entitled Origin of the Beginning comprises photographs, drawings, installations, sculptures and videos in which the artist draws on memories from his own childhood to develop his own thematic and narrative brand of self-portraiture. These neatly structured works refer to his obsessive attempts to gain control of his life. The daily struggle to regulate this chaos is the central theme of this series and is also Van Veluw’s reality. 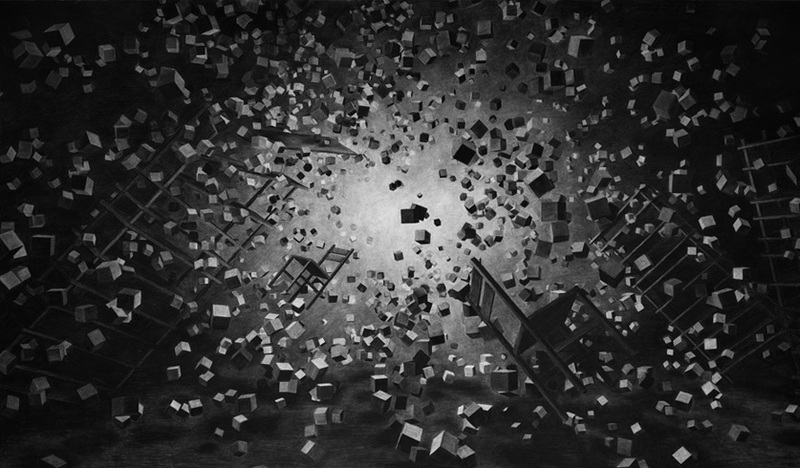 His work is compelling, melancholic and above all visually stunning.